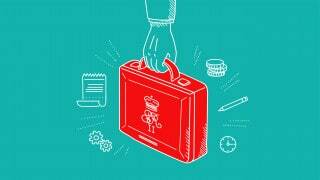 This year’s Autumn Budget didn’t contain any big surprises for R&D tax credits. With Brexit on the horizon, we’ve expected the government to look for ways to make the UK attractive to growing businesses. Not so this time. The government did however introduce one niche change for SMEs claiming a payable credit: a new PAYE and NIC cap. We have seen first-hand the fantastic benefits that claiming R&D tax credits can deliver and so it is important this relief reaches genuinely innovative UK businesses. The change comes in response to a significant fraud case that was recently identified by HMRC. We have concerns though that this specific measure will create added complexity when a company comes to make a claim, and make their potential benefit even more uncertain. To prevent abuse of the SME payable R&D tax credit, the government announced that it will reintroduce the PAYE and NIC cap on the SME payable credit that was abolished in 2012. 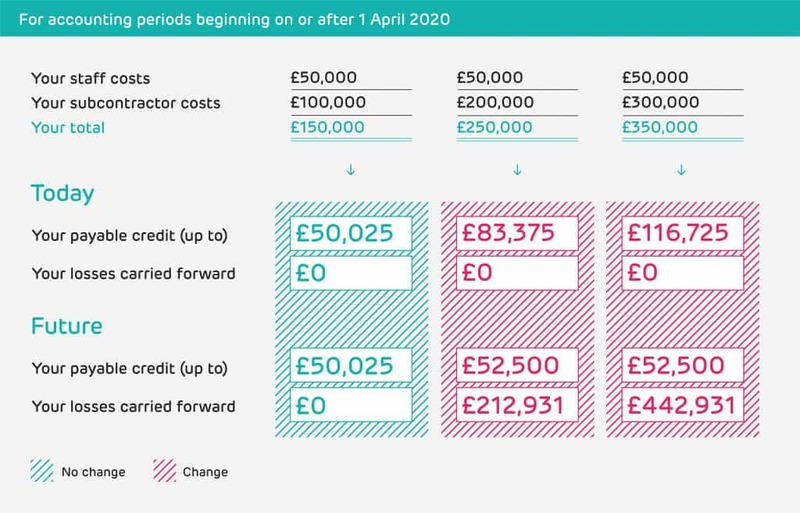 For accounting periods beginning on or after 1 April 2020, the limit will be set at 300% of the company’s total PAYE and NIC for the period. For most businesses, R&D tax credits are a valuable source of funding that helps them to grow and prosper. Re-introducing a PAYE and NIC cap will help to drive the right behaviours amongst businesses. With less abuse, the incentive is more likely to achieve its aims: to increase private sector investment in innovation. If SMEs invest in hiring their own staff, and creating STEM jobs, the cap will not impact the benefit they can receive. It is interesting that the government is reintroducing a measure that it previously abolished. The benefit a company receives from the SME R&D tax credit scheme is already less certain than with RDEC because it is dependent on its Corporation Tax position. This new cap worsens this, as now an SME’s salary bill will also affect the value of its R&D tax credit. In fact, a PAYE and NIC cap already exists for RDEC – the incentive for large companies. What is surprising is that the government has decided to implement this measure in different ways for each incentive. With the SME R&D tax credit scheme, the cap will be three times a company’s total PAYE and NIC bill regardless of who is doing R&D. Under RDEC, the cap is equal to the total PAYE and NIC bill for only those workers carrying out R&D. For SMEs making a claim via both incentives, this change creates added complexity. Unintentionally, early-stage innovative start-ups could be penalised if they can’t yet afford to take on permanent staff. In the following table, we’ve looked at the potential impact of the new cap on SMEs spending £50,000 on staff. In this scenario, we have assumed the total PAYE and NIC will be around £17,500 and for simplicity, we have ignored the employer’s allowance. Once the new cap is introduced, how you decide to resource your business could have an impact on the value of your payable credit. Today, your payable credit is not determined by whether you spend money on staff or subcontractors. But in future, if you spend more money on subcontractors than staff you could be worse off in cash terms. Any benefit due above the new cap would instead be delivered as preserved losses for you to use to offset your future Corporation Tax bill. You will need to be mindful of the ratio of costs and ensure you’re paying enough PAYE and NIC to frank against your payable credit. As a business owner, you have always had to weigh up the advantage of the personal tax efficiencies you benefit from by paying yourself a dividend versus the benefits to your business of paying yourself a salary and receiving a cash credit. Now you need to add to the equation whether the immediate benefit of a larger payable credit is more attractive. ForrestBrown are here to help. As a firm of chartered tax advisers – the gold standard in tax – we’re able to provide expert advice on your R&D tax credits in the context of your wider tax position. If you’re wondering how this change might affect your business, please don’t hesitate to get in touch with us. Our team will review your company’s specific circumstances, advise on the impact and provide options to help you mitigate risk.